Topic: The Sunday school superintendent's job description and responsibilities relate to the church's total Sunday school ministry. 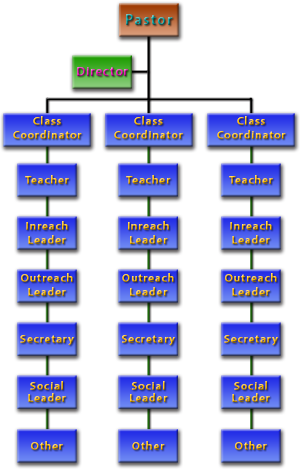 The Sunday School superintendent is responsible for the general administrative needs of the Sunday School. He or she, along with the pastor or assoc. pastor, coordinates the ministry of all the Sunday School classes, departments, and other small group Bible studies so as to reach the ministry goals that are set each year during the yearly strategic planning meeting. He is also responsible for meeting the material, spiritual, curriculum, training, and other Sunday School needs as they arise. As the Sunday School ministry grows, this leader will identify and train new leaders to begin new classes. Specific responsibilities would include the following. Work closely with the pastor to plan and evaluate the Sunday school departments and to develop the yearly Sunday school ministry strategy for all the classes (this may include budget needs). Participate in strategy planning meetings. Help class coordinators plan and reach their class ministry goals. Ensure that planned, class events do not conflict with each other, with other major church events, or with community events. Sunday school superintendent's foundation: The fear of the LORD is the beginning of wisdom, and knowledge of the Holy One is understanding. Identify, select, and train new class leaders: coordinators, teachers, inreach & outreach leaders, secretaries, and others as needed. Meet regularly with existing class leaders for prayer, planning, and training. Survey, identify, and evaluate the needs of the Sunday school programs by speaking with the teachers, church leaders, and attendees. This includes the following areas: space, budget, supplies, curriculum, equipment, and other resources; recommend needed actions. Start new Sunday school classes as needed. Ensure the facilities are safe and in good working order. Report any needed repairs for the rooms or equipment. Help class leaders with any potential problems as they arise. Greet and assist visitors with finding their classes. Set a positive example as a Christ follower through your personal life and church involvement. Therefore go and make disciples . . . baptizing . . . and teaching them to obey everything I have commanded you. If you are a Sunday school superintendent, the Teaching To Transform Not Inform series will help you understand how, and train your leaders to, fulfill the Great Commission through your Sunday school ministry. 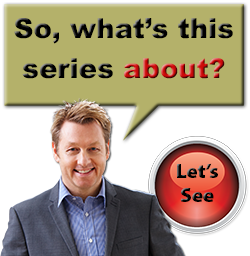 Visit our store to get a more detailed outline of the books. Superintendents help teachers realize that God uses imperfect people to teach His Word. As a Sunday school superintendent, use these resources to train your teachers in effective communication skills.